Russian kickboxing fans now have a new warrior to cheer on. 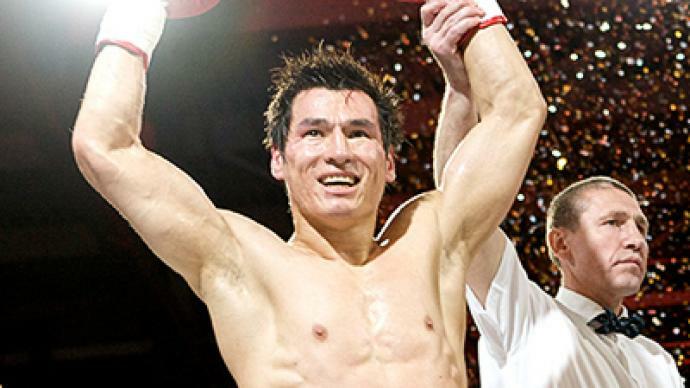 Batu Hasikov claimed the biggest win of his career with victory over K-1 legend Albert Kraus in Moscow. What does it take to become the best? Beat the best! Batu Hasikov may hold three major world welterweight kickboxing titles but until he makes his name in K-1 stand up fighting's elite competition the Russian cannot claim to be anywhere near the summit. This weekend there was a good stepping stone though – the man who has already been there and done that – Albert Kraus, 2002 K-1 world champion. The pair were top of the bill at the Battle of Moscow event. There were no titles at stake, however, just pride and no shortage of honor. The Karate practitioner proved to hold a slight edge in the first round with Kraus – also known as "Hurricane" – still able to demonstrate his dangerous punching ability though. That is what really mattered in the second. The Dutchman landed a number of heavy shots, but Hasikov held firm, mostly seeking a breakthrough with his legs. Kraus got a cut, but the rumble continued. 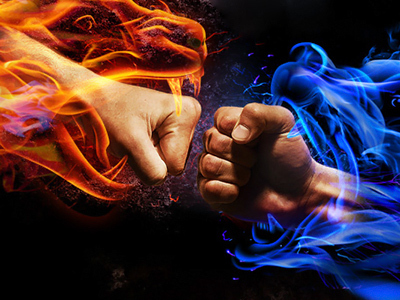 In Round 3 it was one power punch exchange followed by another.The Russian still kept his feet very busy with low kicks while Kraus was relying on his undoubted boxing skills. It was Hasikov who claimed an epic victory, with a unanimous decision, but really it looked much closer than that. The 30-year-old promptly showed respect to probably the greatest opponent he has ever fought against. “That real Albert Kraus I faced in the ring is a much tougher puncher than the Kraus we had been studying, watching and preparing for. I didn't expect him to have such heavy hands. We picked out very good punchers as sparring partners, but they were still no equal to him,” Hasikov said afterwards. Meanwhile, one of those who had helped Batu out in the sparring ring also produced a great performance on the night. World combat sambo champion, Rasul Mirzaev, faced up against Evgeny Havilov for the Russian mixfight light welterweight crown. And a minute into the fight, Mirzaev knocked his opponent out in style. “As they say, I came, I saw, I conquered. Every fight is like…a breakfast for me! I just enjoy it!” said Merzaev. 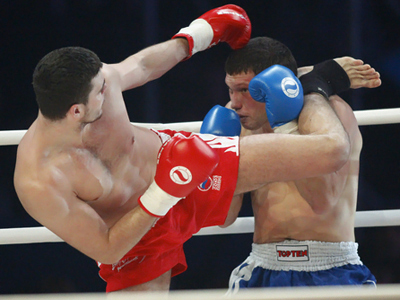 Another eye-catching fight saw Russia's rising star in the heavyweight division, Vladimir Mineev, face world Thai-boxing champion, Moroccan Abdeslam Narjis. Skills gained from his karate background gave the Russian an obvious edge in the bout as he knocked Narjis down already in the first round. And moments after that Mineev finished the job.